John “Jack” Williams White, Sr., 88, passed away Wednesday, March 25, at Riverside Shore Memorial Hospital in Nassawadox. A graveside service will be conducted 2 p.m. Sunday, March 29, at Christ Episcopal Church Cemetery in Eastville with Rev. Daniel Crockett and Rev. Jonathan Carpenter officiating. 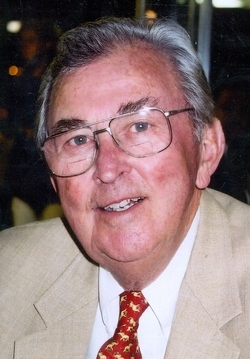 Mr. White was a Cape Charles native and served in numerous positions of distinction, including as a Northampton County Supervisor, a Board Member of Shore Memorial Hospital, and a Commissioner of Chesapeake Bay Bridge-Tunnel. He was a retired salesman for Dunn and Bradstreet and a member of Christ Episcopal Church. Mr. White was the husband of the late Lucy Addison Restein White and the son of the late Richard Read White and the late Jessie Williams White. He is survived by a son, John William White, Jr., and his wife, Carin, of Virginia Beach; a granddaughter, Brooke White of Virginia Beach, and a niece, Linda White Volner and her husband, Rick, of Onancock. In lieu of flowers, memorials may be made to Hospice and Palliative Care of the Eastern Shore, 165 Market Street, Suite 3, Onancock, VA 23417. Arrangements are by Wilkins-Doughty Funeral Home, Cape Charles. Sorry to read that Jack had passed away. We faced off against each other in a Supervisors race and he won fair and square. Although we differed in our views, we became the best of friends. My condolences to his family. He and I also fought in the same war — WWII. He served his country, state, and county admirably. He will be greatly missed. I’ll be seeing you soon Jack. Not too soon though Tony! I hope!